Renew Your Certification & Stay on the Map! Companies with TRI Certified employees are listed on the TRI Website Find a Contractor page. TRI Certification is good for 2 years. If your certification is about to expire or has expired within the past 6 months, you can renew on-line by following the instructions on the TRI website. We recently updated the renewal program based on the new Concrete & Clay Roof Tile Installation Guide. A guest article by TRI Board Member Michael Lukis. In my 38 years of working with tile roofing I have been involved with the installation and manufacturing of concrete and clay roof tiles, primarily in the northern roof climates of the Midwest and Northeastern United States. I often hear the comment that a tile roof is a Florida or California roof. In reality tile roofing has a long and successful history in the snow regions. In the greater Chicago area and other major northern metro areas there are thousands of tile roof systems that were installed from the 1920s to the 1940s. With proper maintenance many of these roofs are still in place and performing very well to this day. These tile roofs cover historical landmark structures, churches and middle class to upscale residential homes. There were more local roof tile manufacturers in those days. During World War II many factories closed and never reopened after the war. A few of these older tile roof manufacturers remain to this day as well as some newer regional and national manufacturers that have begun producing even higher quality roof tiles. Manufacturers now offer 50 year, 75 year and even lifetime transferable warranties on their tile roofing material. Several are good for use in any weather climate. In northern climates roof tiles are often installed on a batten system. The benefits of a raised batten system have been recognized for energy savings and roof performance in both cold and hot climates. When installing roof tiles on a batten system airspace between the roof deck and the roof tiles provides added ventilation and as much as 20% savings in energy costs. Another important benefit is the reduction of ice dams caused by snow melting and re-freezing on a roof system applied directly to the roof deck. Proper installation is one of the most important aspects of a successful tile roof system. 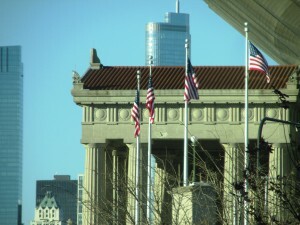 Different climates and regions require different installation techniques and flashing details. 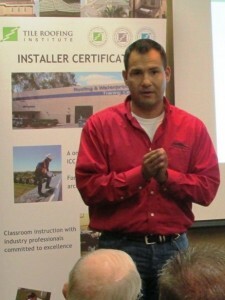 Manufacturing members of the Tile Roofing Institute support proper installation techniques through training and detailed installation guides. Some provide additional training support specific to their products. Tile roofing presents an opportunity for contractors, architects and builders to provide a higher quality, longer-lasting roof system that will bring greater value to buildings and building owners than any other roof system available today, especially when you account for the actual cost per year of other roof systems. In the northern climates, tile roofing provides an opportunity for a roofing contractor to increase their bottom line and set themselves apart from the crowd in a competitive roofing market. Michael Lukis has worked in the tile roofing industry since 1977, as a slate and tile roofing apprentice, journeyman, foreman, project manager, Vice-President, and became company President of Mortenson Roofing Co., Inc. in 2000. 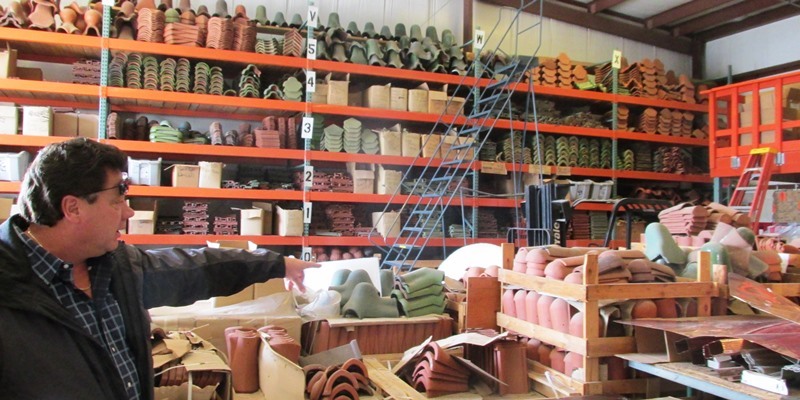 He founded Tile Roofs, Inc., a supplier of new and salvaged historic vintage clay and concrete roof tile, in 1992, and is the current General Manager. He is also the Owner/General Manager of Vande Hey Raleigh Roof Tile Manufacturing Company, LLC. Mike has been on the TRI Board since 2011 and has been a featured speaker at TRI Certification classes. Did you know you can “Ask the Expert” any question you may have about tile roofing? Below are two questions about fasteners and underlayment, and the responses from TRI President and Technical Director, Rick Olson. Response – Table 1A and 1B come from the code requirements (these were verbatim the older UBC code tables 15D-2 and 15D- 3). Our table 1A is for all tiles. Table 1B is for tiles that have projecting anchor lugs and are installed on roof pitches of 4:12 and greater. Table 1B is the majority of tile installations. The section dealing with fasteners is used for the fastening of the tiles, not the underlayment. Response: The statement in the code of “3/4″ into or through the thickness of the sheathing or batten which ever is less” is to allow the tile fastener to have the maximum withdrawal resistance. Once a fastener has penetrated 3/4″ there is no greater resistance for being more. TRI Training will return to the Metroplex of Dallas Fort Worth on April 8th. In addition to our Manual Installation Training, former RCAT President Paul Ramon (Ramon Roofing) will have more information about the RCAT Steep Slope Roofing classes. We expect the class to fill so please register early! Classes will be added in Colorado Springs, Albuquerque, Yuma, Tucson & El Paso in April & May. See the complete schedule at www.tileroofing.org. If you have suggestions for a TRI Installation Manual Certification class in your area or would like to arrange customized training for your organization, contact John Jensen at JJensen@tileroofing.org or 206-241-5774.